A duo of retail Nintendo 3DS games led the charge for the month of May. 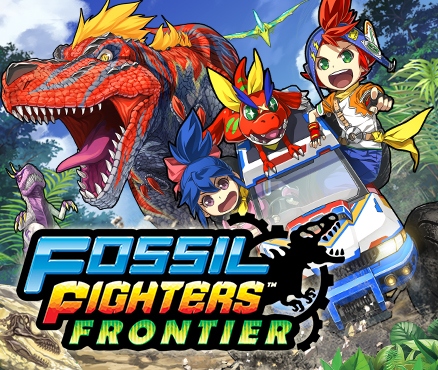 The first was Fossil Fighters: Frontier. It was a Nintendo 3DS focused month of reviews for May 2015, and while the amount of reviews wasn't the largest SuperPhillip Central has seen in a given month, it was an enjoyable one regardless. HAL Laboratory's Boxboy! kicked off the month with a great A score. Following that was a surprisingly fun albeit unoriginal 2D platformer with Bloo Kid 2, which received a B. Following that was another one of Nintendo's experiments with the free-to-play (F2P) format with Pokemon Rumble World, scoring an A-. Two retail releases followed with Fossil Fighters: Frontier and Code Name: S.T.E.A.M., both earning a B-. Lastly, May 2015 ended with Whoa Dave!, getting itself a C+ overall. SuperPhillip Central has but ten reviews to go before it hits its 600th review. I wonder what it will be! Stay tuned (or logged onto your computer) to find out in coming month or two! Intelligent Systems, Code Name: S.T.E.A.M.